Mist gets stuck on "Started Swarm". It was working fine a couple of hours ago. I think I will just forget about Mist for now and use Ethereum Wallet instead, that is probably more stable and reliable, as it does not have all the additional features of Mist. This is not really an answer to my question, but can be accepted as one. I figured if everyone is busy, I will try and help myself. 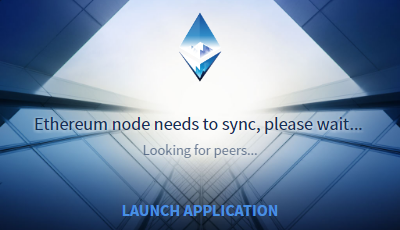 I had Sync with Light client enabled, so, I removed the lightchaindata folder, and Mist got past Started Swarm message, and did some blockchain syncing, then kept looking for peers, finding them, and then looking for peers again, but I had Launch Application choice available, so I launched it and was back to the main Mist window. But it looked strange to me that lightchaindata folder re-created automatically did not have any LDB files in. So, I gave it some time, then closed and reopened Mist, which added one LDB file to lightchaindata folder, but it got stuck on "Ethereum node needs to sync, please wait. Looking for peers..." for some time now.